We know that next to the health and wellbeing of your family, your home is your most important asset. That’s why we’re passionate about chemically free termite control and why we specialise in it. We know how to recognise evidence of termites and how to eradicate them. That gives you the security of knowing that you can be confident that your home is protected. Once you’ve found termites, damage has already occurred and you need to act quickly. It can be alarming to learn that the annual cost of subterranean termite damage in Australia is estimated to be greater than that of fires, storms and floods combined. And this isn’t covered by your home insurance. The most effective defence against termite infestation is prevention. Pest Affects can recommend an appropriate termite management program to not only rid your home of these destructive pests, but more importantly, we can ensure that your home remains protected from future attack. 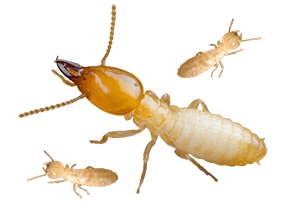 We can solve your termite problem whilst maintaining consideration for the environment. Our commitment to providing environmentally responsible solutions gives us the ability to address any termite issue with a minimal approach to the use of pesticide and we can do this whilst providing 100% effectiveness. This provides a safer and healthier proposition for you and your family.